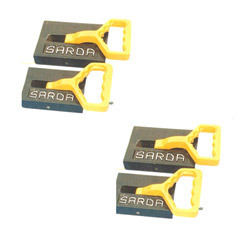 Our product range includes a wide range of powerful permanent magnetic lifter, small permanent magnets with long reach, permanent magnetic sheet lifter, hand drag permanent magnetic sheet lifter, permanent magnetic lifter and magnet for wrist/ palm. 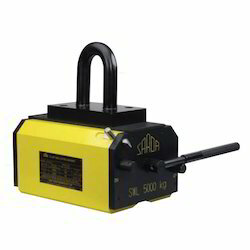 Our organization is widely reputed in offering Powerful Permanent Magnetic Lifter to our clients. Provided product is manufactured by our industry specialists by making use of high quality material which they have procured from reliable vendors associated with us. It finds extensive application in lifting tools in various industries such as factory terminals and warehouse. In addition to this, we are offering it at market leading price to our clients. 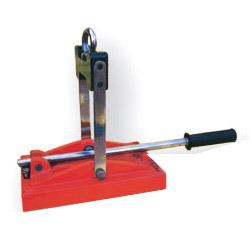 For handling of steel plates, blocks, rounds, press moulds and loading/unloading on machines. Our organization has achieved milestone in offering Permanent Magnetic Sheet Lifter to our clients. Provided products are demanded for their excellent functionality and design. Offered range has got excellent grade magnets which work with excellent perfection for long time period. Provided product is available in wide ranging specifications. Moreover, the specialist pool of quality inspectors perform complete testing on the entire assortment. We ensure timely delivery of this product. Loading/ unloading of plates from planners, boring, milling machine. Optimum flux density – effectively lifts thick/ thin sheets. Cam mechanism jack up lever releases the job easily with the help of long handle. 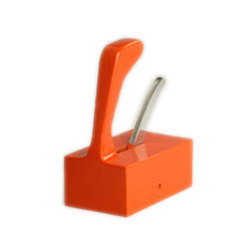 Our organization has got immense experience in offering Hand Drag Permanent Magnetic Sheet Lifter to our clients. Hand Drag Permanent Magnetic Sheet Lifter is fabricated using best grade qualitative material purchased from trusted vendors of the market. Provided product is available in various specifications and customized options to our clients. This product can be easily installed and gives exceptional performance. On positive note, we have so far received excellent feedback. Useful in press shops for feeding one sheet at a time in machine. 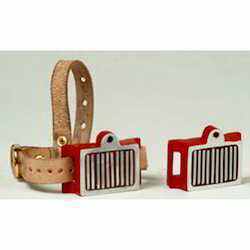 Used as single or in pairs for carrying sheets for either horizontal or vertical transportation. Easy grip powerful magnet with handle. Can lift/ drag top sheet from stack for pulling out without any damage. Optimum flux density - effectively lifts thick/ thin sheets. Magnets are always ON. To release a cam mechanism pushed down the sheet at contact point. Our organization has achieved milestone in offering Permanent Magnetic Lifter to our clients. Permanent Magnetic Lifter is extremely preferred by our vast majority of customers due to excellent functionality, powerful magnetic field creation like features. Provided product is acclaimed for its durability and is exceptional in terms of design as well. Our stock is reckoned for its superb design. We are offering it at economical price to our clients. To hold small/complex shaped components while polishing/grinding. 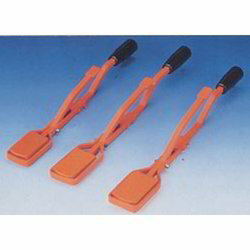 Looking for Magnetic Lifter For Block Handling ?